At what historical moment was modern America born? Was it the Revolution? Or the Industrial Revolution? The Great Migrations of the late 19th and early 20th centuries? The Civil War? Jon Butler, in his usual contrarian way, argues it America was throughly “modern” by 1770. The elements that most people associate with modern America – religious and ethnic diversity, consumerism, and a commercial economy – were all present in British North America by 1770. While this argument has its weak points (especially in Butler’s discussion of politics) the overall thrust of his argument is important. What Butler’s book should do is cause us to think about what makes ‘modern’ America. If at least some of the characteristics Butler notes existed in the 1770s (especially in economy and material culture) than much of the literature of American history is called into question. If these characteristics have existed since America emerged as a nation in 1776, we need to rethink the many interpretations of the 19th century and connections of the 19th and 20th century to the 18th. This is the greatest strength of Butler’s book. It drags the first half of the 18th century in the historiographical light. Often times pre-Revolutionary America is viewed as unit onto itself and not as part of broader historical trends or processes. Butler’s synthesis persuasively challenges this assumption and links this era with later developments. That is not to say that this book is not without its problems. Butler’s chapter on politics is weak and under-argued. He stretches his argument too much there, especially when discussion political “machines” that existed in pre-Revolutionary America. Additionally, Butler’s story of immigration is too happy. He underplays tensions between ethnic groups to make his argument. That is not to say that full blown 19th century style “nativist” movements existed in this period but there was significant tension between groups that sometimes could even turn violent. 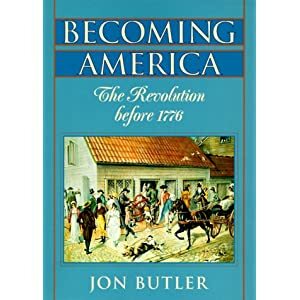 However, whatever problems there are with some of the components of Butler’s argument it is still value and should even cause critics to rethink the trust of American history and the connections between the 18th century and the rest of American history.